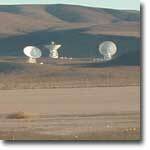 Deep Space Network antennas, Goldstone, Calif. Barely perceptible fluctuations in the speed of a distant NASA spacecraft coasting away from Earth could provide science's first direct detection of gravitational waves, a basic feature of how the universe behaves. A 40-day search beginning Nov. 26 will use the Cassini spacecraft and specially upgraded ground facilities of NASA's Deep Space Network. "We've tried this before with other spacecraft, but this time we have new instrumentation on the spacecraft and on the ground that gives us 10 times the sensitivity," said astronomer Dr. John Armstrong of NASA's Jet Propulsion Laboratory, Pasadena, Calif. "We're able to measure the relative velocity between Earth and Cassini with exquisite accuracy." Cassini's speed relative to Earth will vary during the 40 days, but will typically be about what it would take to zip from New York to Chicago in five minutes. In contrast, this experiment could detect any change in speed so small it would lengthen or shorten that trip by a mere fraction of a second. Gravitational waves are ripples in the fabric of space and time that are set off by accelerations of massive bodies, such as black holes or supernovas. Albert Einstein theorized they exist, and indirect evidence confirmed his prediction in the 1970s. "Gravitational waves are at the frontier of astrophysics. There's no question they exist, but they have not yet been detected directly," said Armstrong, leader of an international team that has been preparing for years to conduct this search. "Gravity waves can give us another window into the universe, the way Galileo's telescope did in the 17th century and radio telescopes did in the 1940s," said JPL's Randy Herrera, lead operations engineer. The ability to detect gravitational waves could lead to their use as a way to study black holes and other massive phenomena, he added. Cassini is in a quiet cruise phase of its mission, 11 months past Jupiter but still more than 30 months from its destination at Saturn. The researchers will use radio transmissions between Cassini and Earth to search for gravitational waves measurably warping space between the two. The transmissions reveal velocity changes by the Doppler effect, the same phenomenon that raises the pitch of an approaching train's whistle or lengthens the light waves from a receding galaxy. If gravitational waves within a particular range of long wavelengths are passing through our solar system, they will alternately stretch and compact space in a way that would rhythmically affect the Earth-to-Cassini distance. Italian scientists Dr. Bruno Bertotti of the University of Pavia and Dr. Luciano Iess of the University of Rome are co-leaders of the experiment. Italy's national space agency, Agenzia Spaziale Italiana, provided crucial equipment aboard Cassini enabling the gravitational-wave experiment to use higher-frequency radio transmissions than have been used in earlier gravitational-wave searches with Galileo, Mars Observer, Ulysses and Mars Global Surveyor spacecraft. The higher frequency suppresses noise from the solar wind, allowing more precise measurements of velocity changes. JPL engineers have carefully instrumented a large dish antenna at the Deep Space Network's Goldstone complex near Barstow, Calif., to send and receive the higher frequencies with unprecedented Doppler sensitivity. The upgrade includes refined pointing capability needed to exploit the higher frequencies, said Sami Asmar, supervisor of JPL's Radio Science Group. 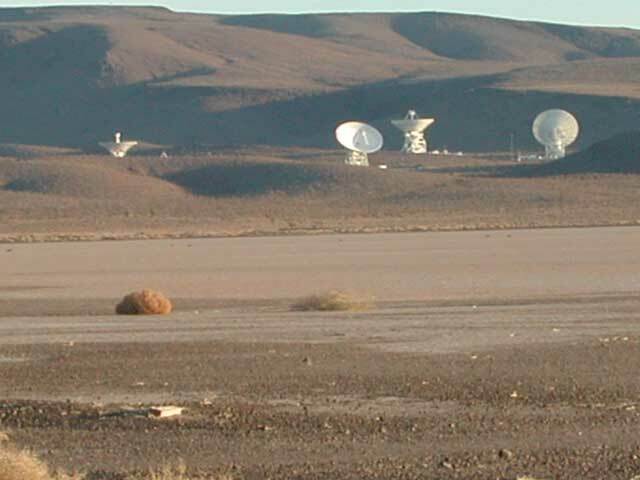 Other new equipment at Goldstone will allow researchers to correct for the atmosphere's distortion of radio transmissions and improve performance of the search. The experiment will use links at lower radio frequencies between Cassini and Deep Space Network antennas near Madrid, Spain, and Canberra, Australia. This will enable around-the-clock observations. Taking data with independent equipment at three sites will help discriminate subtle instrumental effects from signals that might be gravitational waves. The scientific importance of detecting gravitational waves has also prompted ground-based projects, most notably the highly sensitive Laser Interferometer Gravitational Wave Observatory, coordinated by the California Institute of Technology, Pasadena, and Massachusetts Institute of Technology, Cambridge. The two approaches complement each other because the Cassini experiment is sensitive to million-fold longer wavelengths of gravitational waves than the ground-based laser interferometers are, Armstrong said. The Cassini experiment is timed so that Earth is on a line between the Sun and the spacecraft, minimizing noises on the radio link. Measurements taken during the 40 days will take several months to analyze. The experiment will be repeated twice more in the next two years when the spacecraft's position will make the measurements sensitive to gravitational waves from different directions in the sky. Information about the Cassini-Huygens mission is available online at http://www.jpl.nasa.gov/cassini . Cassini, launched in 1997, will begin orbiting Saturn on July 1, 2004, and drop its piggybacked Huygens probe onto the haze-wrapped moon Titan about six months later. The mission is a collaboration of NASA, the European Space Agency and the Agenzia Spaziale Italiana. JPL, a division of Caltech, manages the Cassini program for NASA's Office of Space Science, Washington, D.C. NOTE TO BROADCASTERS: A video file with a new animation portraying gravitational waves will air on Nov. 20 and 21 at noon, 3 p.m., 6 p.m., 9 p.m. EST. NASA Television is available at GE-2, Transponder 9C at 85 degrees West longitude, with vertical polarization. Frequency is on 3880.0 megahertz with audio on 6.8 megahertz.